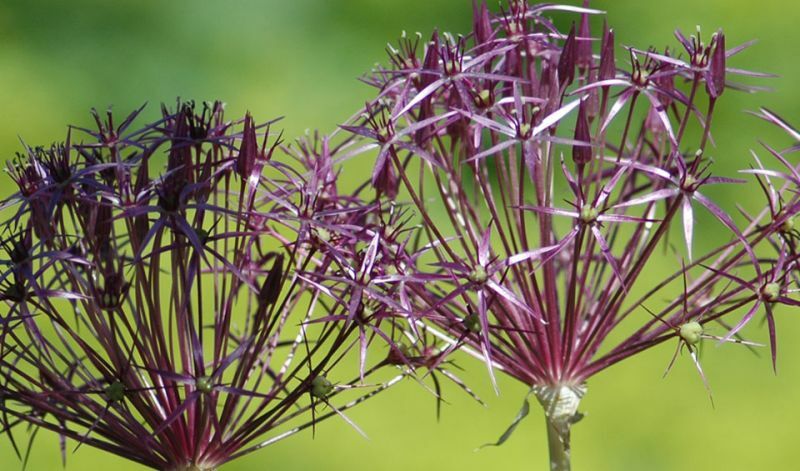 This allium's unique color and its large inflorescence - which easily contains 75 individual flowers and can reach a diameter of 8 inches (20 cm) across - make it an indispensable plant. The inflorescence is still attractive even after its color has faded. The plant's leaves are narrow and hairy.